By today’s standards, the speed at which the government resolved the assassination of President Abraham Lincoln in 1865 was unbelievably swift. Let’s look at the time frame from the moment John Wilkes Booth pulled the trigger to shoot the President at Ford’s Theatre on April 14 until the moment the trap was sprung to hang the four condemned conspirators on July 7. What you will find is that, from start to finish, the entire process took under three months, or exactly 83 days, 15 hours, 11 minutes. The President was shot, died of his wound and his body was sent on an extensive funeral train tour around the northeast United States before finally being buried in Springfield, Illinois. John Wilkes Booth was tracked, cornered and killed in Virginia. Hundreds of potential conspirators were questioned, detained, arrested and even imprisoned. All would be released with the exception of eight that would eventually stand trial for the conspiracy related to the crime. The military trial of the eight conspirators was assembled, witnesses gathered and presented, verdicts reached and the convictions and sentences carried out. Here is a breakdown of these events (all occurring in the spring/summer of 1865) and the timeframes associated with them. Note: All times are approximate as very few ‘exact’ times are known for many of these events. 83 days, 15 hours, 11 minutes ‘or’ 2 months, 22 days, 15 hours, 11 minutes– The time it took from the moment Lincoln was shot at 10:15 pm on Friday, April 14 to the moment the traps were sprung to hang the four convicted conspirators on Friday, July 7 at 1:26 pm. 9 hours, 7 minutes – The time in which Lincoln remained alive from the moment he was shot at 10:15 pm on Friday, April 14 to the time he died at 7:22 am on Saturday, April 15. 11 days, 8 hours, 15 minutes – The time it took from the moment Lincoln was shot at 10:15 pm on Friday, April 14 to the time John Wilkes Booth died at around 7:00 am on Wednesday, April 26 after being shot in the neck at the Garrett farm by Sergeant Boston Corbett. 13 days, 6 hours – The time it took for Lincoln’s Funeral Train to leave Washington DC at 8:00 am on Thursday, April 21, travel through 180 towns and cities while participating in eleven public viewings, and finally reach Springfield, Illinois where the President was buried on Wednesday, May 4 at around 2:00 pm. 72 days, 10 hours, 26 minutes ‘or’ 2 months, 11 days, 9 hours, 26 minutes – The amount of time David E. Herold had left to live after giving himself up on Wednesday, April 26 around 4:00am when cornered with John Wilkes Booth on the Garrett farm to the time Herold was hanged, along with three other conspirators at 1:26 pm on Friday, July 7. Note: For those of you who are perfectionists, yes it is known that David Herold did not die quickly on the gallows and struggled for several minutes after the drop. Therefore several minutes are missing from the time listed above. 51 days ‘or’ 1 month, 20 days – The period of time that occurred from the start of the military conspiracy trial on May 9, to its completion on June 29. 24-1/2 days ‘or’ 3 weeks, 3-1/2 days – The time it took from the moment Abraham Lincoln was shot at 10:15 pm on Friday, April 14 to the first day the military conspiracy trial began on May 9. 3 days – The time it took from the night Abraham Lincoln was shot on Friday, April 14 to the arrests on April 17 of the first five conspirators who would be tried. Arrested on that day were Mary Surratt, Lewis Powell, Michael O’Laughlin, Edman Spangler and Samuel Arnold. George Atzerodt was arrested on April 20, Dr. Samuel Mudd on April 24 and David E. Herold on April 26. 1 day – The time it took for the military commission to end the conspiracy trial on June 29 and reach verdicts for all eight conspirators on June 30. They agreed to the following sentences. Four conspirators were sentenced to hang (Surratt, Powell, Atzerodt and Herold), three were given life sentences (Mudd, O’Laughlin and Arnold) and one was given a six-year sentence (Spangler). 1 day – The amount of time it took Andrew Johnson to review and approve the conspirators sentences on July 5 to the time the conspirators first learned of their fates on July 6. At noon on that day, General John Hartranft visited each of the conspirators in their cells, where he read and hand-delivered the sentences personally. 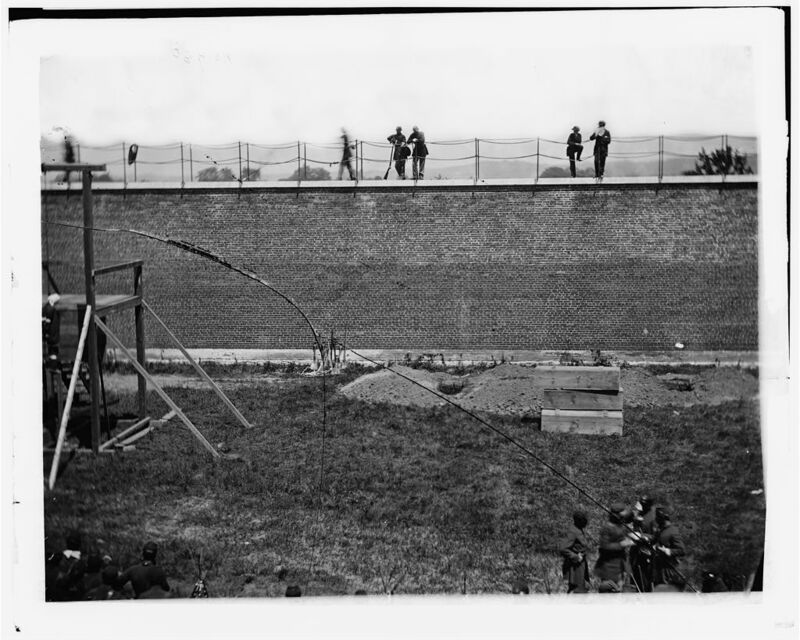 1 day, 1 hour, 26 minutes – The amount of time it took from the moment General Hartranft informed the condemned prisoners of their fates at noon on July 6 to the moment the traps were sprung hanging the four convicted conspirators at 1:26 pm on July 7. The death warrants indicated that the executions needed to be enforced between 10 am and 2 pm on July 7. And as history shows, this order was carried out. Here are some Lincoln related interviews that I recently conducted. Enjoy.